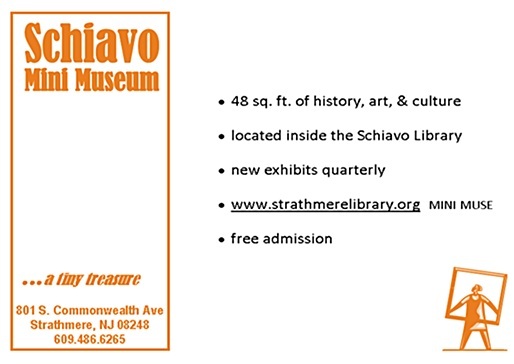 Do you have any interesting collections, photos of Strathmere, or local artifacts? Our library has two great showcases. Why not share with the community! Call the library with your ideas: (609) 486-6265. Please stop by the library to view the Mini Museum, which is right in the lobby of the Library.